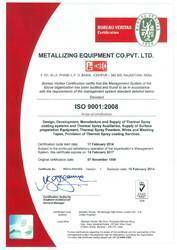 We, Metallizing Equipment Company Pvt. Ltd., started in the years 1967, are one of the foremost manufacturers and exporters an extensive array of Plasma Spray System and Coating Equipment. Our offered range consists of best grade Coating Equipment, Plasma Spray System and Gun and Powder Spray System and Gun. To manufacturing these offered products in compliance with the set industry standards, our experienced professionals use the modern machines and tools. Our products are appreciated for their features like corrosion resistance, efficient performance, and flawlessness. Our offered products are widely demanded in automobiles, aerospace, textile, biomedical, paper, electrical, power generation, decorative, food processing, marine, oil, transportation and many more industries. 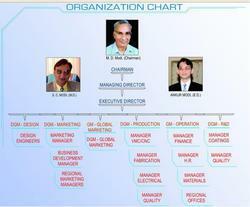 Our company has established up to date infrastructural set-up. It has various departments like production, quality control, and others, which helps us in performing our business process in the best possible way. Apart from this, our ethical business practices, customization facility, wide distribution network and timely deliveryhave made us popular with the clients. 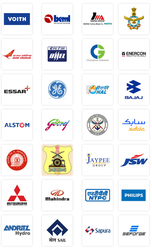 We have a huge base of clients, some of the reputed names from our clientele are Essar, Air India, Maruti Suzuki, Mahindra, Godrej, Enercon, Mitsubishi, BHEL, and Jaypee Group. 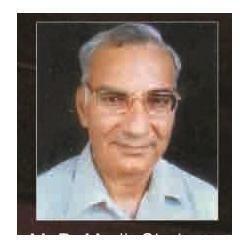 Under the direction of our mentor, Mr. Girish Mathur, we have been able to create a huge patron. With the help of his sharp business approach and skills, we have gained a top position in the market. 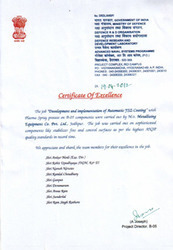 Manufacturing & Trading of Plasma Spray System and Coating Equipment. Thermal Barrier Coatings: A group of ceramic coatings, including Yttria Stabilized Zirconia (YSZ) and Magnesium/Zirconate, used to protect the substrate in extreme heat environments. The heat rejection properties of TBCs excel in applications to an excess of 3000 °F. 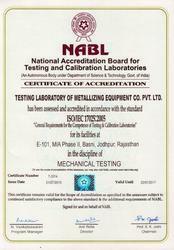 TBCs have been used successfully on piston tops, valves, exhaust systems, etc. Splat: A single sprayed particle that resembles a thin, flattened drop of liquid, under magnification. Abrasion: To wear away by friction. All safety features and ergonomic principles have been considered in the design and manufacturing of the systems to keep the operator comfortable and safe as well as the coating environment. General: It is a completely safe process when performed by a capable operator with proper understanding of flame spraying practices, knowledge of the equipment, care in operation, and one who follows the recommended precautionary measures. The possibility of hazards can be isolated by proper handing of high pressurized fuel gases and hose connections. Thermal Spray equipment has been expressly designed for HVOF spraying. Not intended for any other purpose such as welding, soldering, brazing and their likes. Reduction of fire & explosion hazards: The stream of sprayed metal is hot. Always point the lighted gun towards the job. Carelessness in pointing the gun at paper or oily rags can result in fire. Special care should be taken to protect the hoses from spray stream. Gases: A regular inspection is required for all gas equipment such as Fuel gas, Oxygen and airlines, compressors, regulators, etc. for leaks and loose connections. The backfire of the spray gun can be prevented by using pure gases and regular checking of nozzles and air caps. Equipment maintenance: Total maintenance schedule and procedure has been described in the Operation Manuals and we recommend them strongly for safe and long serviceability of the system. Metal dusts: The greatest care should be used in handling to minimize the danger of the dust explosion resulting from flame spraying, adequate ventilation must be provided for spray booths and other confined spaces, to prevent the accumulation of fumes and dust. Good housekeeping in the work area is essential. Inspect and clean regularly to assure that there is no potentially dangerous accumulation of dust. All types of dust having considerable calorific value can be explosive. This dust includes flour, starch, hard rubber dust, wool flour, aluminum dust and the dust of other metals. Aluminum and magnesium dusts are particularly hazardous. The dust must be wetted down and remain immersed in water. Accumulation of dry or partially wet dust should not be permitted. A MEC-SPRAY BOOTH is recommended to fulfill the requirements of the dust collection of system. All closed collectors should be provided with blow out holes or relief panels. All fans, pipes, dust arrestors motors should be electrically grounded. Gas cylinder precautions: Charged gas cylinders are potentially dangerous. Never put a gas cylinder in hazardous position. Keep cylinders away from heat and moisture. Always chain them to keep fro toppling. Put the valve caps on the cylinders when they are not connected for use. Do not hang a flame spray gun or its hoses on regulators or cylinder valves as a fire or explosion may result. Leak checks should be made during the initial system pressurization and regularly thereafter. Be sure to remove leaky or defective equipment immediately from service. 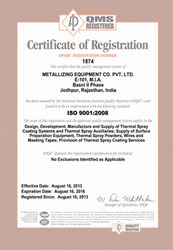 Metallizing Equipment Company Pvt. 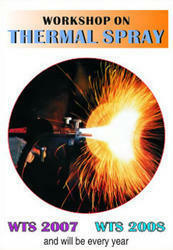 Ltd. has brought to you a novel concept “Thermal Spray Training”. 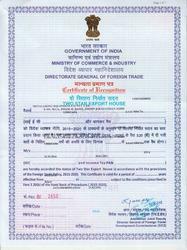 It is for operator, inspector and skilled persons. 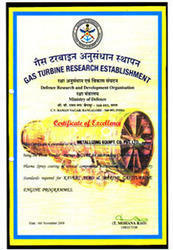 Courses are designed for Gas Flame, Arc, Plasma and HVOF Spraying. 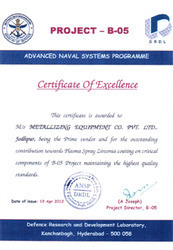 Our organization is known to be one of the trustworthy manufacturers and exporters of the plasma spray system and coating equipment. For the aim of maintaining industry norms, we made these products through a series of predefined quality checks. Our company takes pride in providing products of superior quality at very affordable rates. 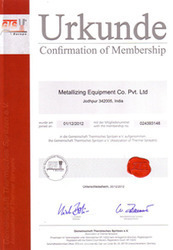 The Metallizing Equipment Company Pvt. Ltd. (MEC) started its operations in the year 1967. Founded by Late Shri Balchand Modi & further promoted by his son Mr. M.D. Modi-M.A.(Econ. ), B.com now as chairman of company. Mr. S.C. Modi - B.E. (Mech. ), FASM (USA) developed new products and working now as Managing Director. company. His myriad contributions in the fields of innovation, system integrations and labour relations symbolized all that is best in the MEC spirit of being ahead. Two Branch Offices were opened in Mumbai and New Delhi for immediate services with a motto of quick response for their trusted customers, later it was expanded to cities Hyderabad and Bangalore in the year 2000. Overseas business started with 15% export of total sales which is now more than 60%. 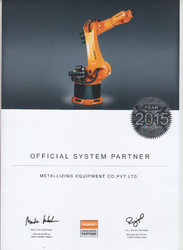 In the 40 years of business journey, MEC had lot of business associations with well known companies in the field of thermal spray & automation such as; Metallization Ltd. (UK), Kuka Robotics (Germany), Oseir (Finland), AMT-AG (Switzerland), HC starck (Germany), PAC (Powder Alloy Corporation) USA to provide a complete turnkey solution to the customers. In 2006, MEC achieved prestigious CE certification for maintaining the safety equivalent to European standards in their manufacturing. By 2007, MEC stood in international market as a premier thermal spray equipment manufacturer and supplier. MEC also acquired DGCA approvals for coatings on aerospace components and worked with several similar research organisations & universities. 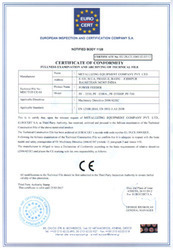 Today, MEC manufactures a wide range of equipments and proud to announce their acquisitions of various patents for products & processes, and is dedicated to its core business activities of thermal spray equipment manufacturing and coating solution developments. 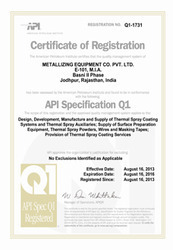 In 2013, MEC obtained Q1 quality certification from API (American Petroleum Institute). About 50 years ago, when I started a small unit with four workers in a small auto repair shop, "Thermal Spray" of today was known as "Metallizing" and given status of a black art. 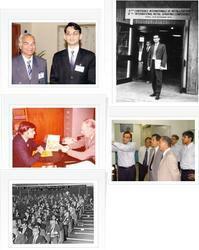 Time passed gradually, we grew with mission and vision bringing MEC - now a legend in Thermal Spray Technology . Collective efforts have transformed that black art into a precise science now attracting qualified engineers and experts from world over. conducting the business of MEC. Thanks a with best luck and warm regards.